Want to get rich overnight and have instant success quickly and easily? Well this post is for you, as you most likely need a reality check. I have no idea why people always assume they can get rich quick or have success overnight just because it's an online business and not an offline one. 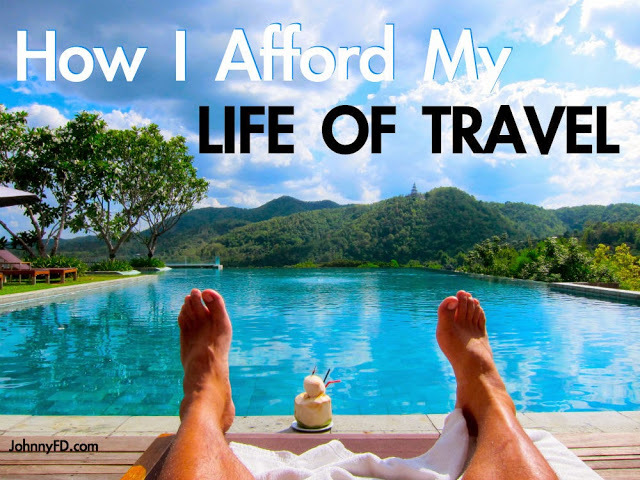 Some people might assume just because I have tons of different income streams and it looks like all I do everyday is travel around the world, hang out on beaches and scuba dive that everything I've done was an overnight success. But here's a reality check and a realistic timeline of how long each method takes, the investment involved, potential income, and downsides if it doesn't work. 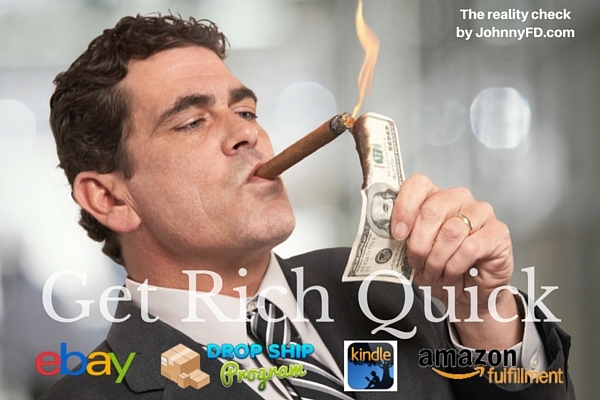 I'll even include a few actual ways to get rich quick at the end of the post just for fun. I'll start with dropshipping as the first case study as this was what I personally did first to start my "overnight success" with online business. Overnight! Just kidding. If you read any of my posts about how I started my dropshipping store, you'll hear time and time again that it took me 2 months before I made my first sale. With my 2nd store, I set a 30 day new store challenge to get a store up and running since I figured I've already been through the course once, and knew what to do. But it still took almost two months to get our first sale. For the majority of people I've met in person or in the forums, it takes them all around two months to go through the course, get suppliers, and make their first sale. The nice thing about drop shipping is if you manage to actual dedicate the time to go through Anton's course, do everything he says, and make your first sale, it is almost guaranteed that you'll continue to make consistent sales. Most average stores make around $2,000 a month, with the best stores doing $7,000 in profit. My personal stores usually make around $1,500-$4,000 a month each. You can see screenshots of the timeline it took me to ramp up my income here. 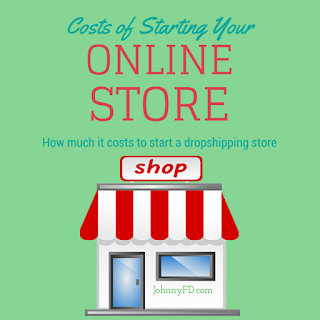 The good news about dropshipping is there is no upfront inventory, so the main cost of starting is time and money to learn how to start. 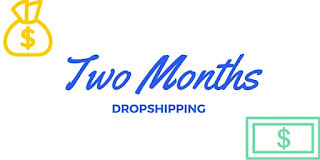 Right now Anton's dropshipping course is $1,497 and keeps going up in price as more and more people join and he adds more content. Without the course most people spend around 6 months researching how to do it on their own, and most people up wasting 6 months as they get stuck somewhere or aren't successful because the missed a key step or two. In total if you completely fail, you'll most likely have spend $1,800 or less. Although I personally haven't started selling through fulfilled by amazon, I know a bunch of people personally that have successful FBA businesses. Technically FBA is a very hands off business once it's actually set up as Amazon does all of the shipping and customer service for you. The biggest waiting points are in the start when researching your niche, getting product samples sent from China, and then waiting on the manufacturing and overseas shipping times. Once your products are in Amazon's warehouses and you can start making sales right away. The only downside is for the first year or two all of your money will be reinvested into buying more inventory as the items have to be pre purchased. For most people I've met, it takes around 6 months to 1 year to turn their FBA business into a profit/cashflow producing business. Even though there is a pretty big start up cost to get into Amazon FBA, as long as your product isn't defective and you actually get it to Amazon's warehouse, you should never actually lose your $3,000-$10,000 initial investment as you can always sell it for cost price just to recoup your costs. 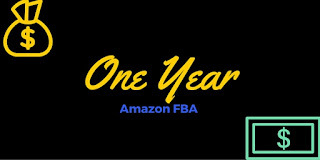 If you want to know more about Amazon FBA, check out this interview I did with the FBA Empire guys. 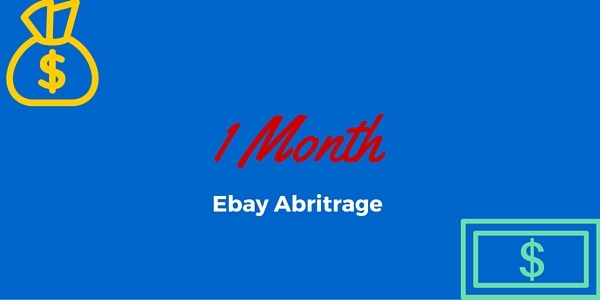 You probably won't ever get rich selling on Ebay, and up to a few months ago I honestly thought dropshipping items on ebay or doing arbitrage was completely dead as that's what everyone online kept preaching over and over. 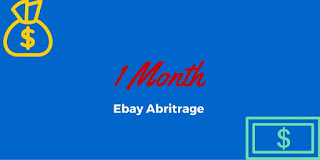 The good thing about ebay arbitrage is that it's probably the only thing on this list that actually is somewhat of a make money overnight story. Most people I met are only making $700-$1,000 a month in profit from their stores, and it's not a long term sustainable business model, but then again, if you're just looking to get something started, there isn't a big downside either. Just like with running an actual dropshipping store, there is no inventory to pre purchase and with the ebay model, there is even less overhead as you don't even need a website to get started. The downside of this is aside from some skills you'll learn from the process and the confidence you'll gain from making sales online, you won't actually own anything at end besides the money you saved up as selling an ebay store isn't nearly as profitable as selling a self-hosted dropshipping store like Anton teaches. 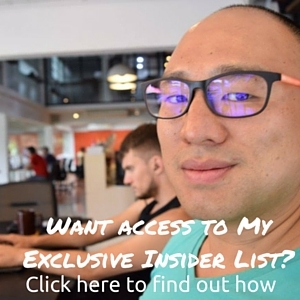 With David Vu's Ebay Course being the cheapest of all courses that actually work, it's the only thing I can honestly say is a "make money quickly" plan that actually works, just don't expect to get rich from it and don't expect it to become your full time single source of income forever and ever. Just have it be a great first step into online business as it's cheap to get started, doesn't require any inventory, works worldwide, and can be turned semi-passive if you hire a virtual assistant down the road. Even though I've been making a huge part of my income lately from affiliate commissions, I've never once said it was an overnight success. I've been blogging since I've been in college, and have always done it for fun as I've never made more than a hundred bucks or so from any of my blogs until recently. Time it takes? For most people to do what I do, or to learn from my course Earnest Affiliate I say in the very first module that it takes most people 6 months or more to build a read-worthy blog, get enough traffic, and build enough trust before you'll make a penny from your site. 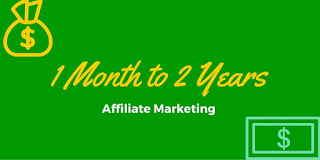 If you want to earn $10,000+ a month from affiliate commissions like I do it'll probably take you 1-2 years even with hard work, and proper guidance that I provide in my course. 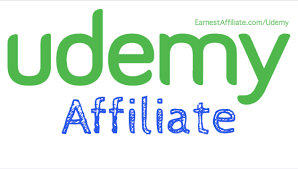 For most people, they don't want to wait that long which is why I created a shorter, mini course called Udemy Affiliate that I actually give away to my Earnest Affiliate members for free. Because you get to start with leveraging other people's traffic instead of building your own, some of the students in my course started making affiliate commissions from promoting Udemy courses within a month or two. If you do PPC/Ad Based affiliate marketing the downsides are huge. I've known people who have wasted tens of thousands of dollars in ads and never made it a profit. Luckily, some of them never gave up and after spending 1 year and over $15k they figured it out and are doing well now. 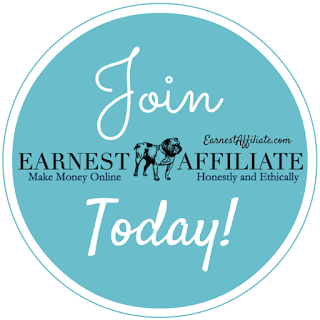 With the type of organic affiliate marketing I do, aside from the cost of my course and hosting for your website, there's almost no additional investment costs. Other Ways to Get Rich "Quick"
Generally it takes about 1 year of full time studying to learn how to code, then another 2-3 years to get good enough to actually made a decent living from it. I have friends who make a lot of money with programming but it takes a lot of dedication and isn't for everyone. I've met a bunch of people who have been crushing it publishing kindle books that they outsource. It typically only takes 1-2 months to get a title written, uploaded and to start making money from it. In this interview I did with Adrian he explains step by step the process it takes as well as how much money he makes from doing it. Probably the only real way to get rich quick in this article. 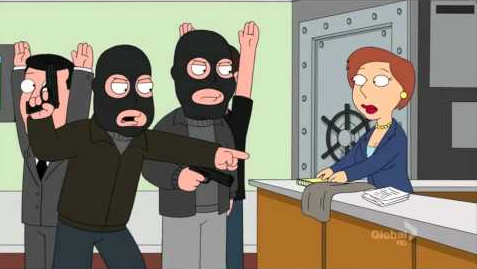 But if you want to risk going to jail for the rest of your life or shot by the police while making your getaway, you have a decent chance at getting away with a bank heist and getting rich overnight. Don't want to go to jail and don't want to put in the time it takes to start an online business? This next one is for you! There are plenty of things you can sell, including your eggs if you are a woman or your kidney if you're a man! You can even become a stripper or webcam model! Making money with an online business often gets a bad reputation and there are a ton of courses out there and marketing tactics designed to "trick" people into thinking they can get rich quick. But the honest truth is, everything worth doing takes effort and most of the time, people know a one click system for $7 sounds too good to be true, because it is too good to be true. But the sad reality is, the "quick" and "cheap" options allow customers to trick themselves into taking their first step and buying something. There are course, guides, and other paid products out there that will help guide you on the path for success, but they all take effort on your part and anything worth $1,000 will actually cost $1,000. I promise you that. The good news however, is there are tons of legitimate ways of making money online that actually work. Now it's just up to you to put in the work yourself. Stop thinking there is a way to get rich quick with little or no effort, and stop thinking you can become successful overnight. Still don't believe it takes time? Read this post outlining my journey from 2007-2013 which took me almost 6 years to figure it out. Great post, Johnny! I totally see what you mean when you said that you got haters. That dude on your previous post is whacked. Anyhow, I want to thank you for this post. It helped to answer a lot of questions and I appreciate your transparency. I just have one question from reading your past post about your crazy journey. After having only $200 in your account, how did you manage to afford Anton's Course? Was it cheaper back then? The reason I am asking is that I am debating between saving money for the course (but I am afraid that by the time I have enough, it would be closed or priced higher) OR to take a dive and put the cost of the DSL course on my credit card... any advice? Hey "Anonymous" I don't know who you are, but I am genuinely sorry that you were not successful with Anton's course. I'm sure he gave you a full refund as long as you asked for it within the return period so I have absolutely no idea why you have such a chip on your shoulder and feel like it's your vendetta to stop others from starting their own stores. Every week there is someone in Anton's course who starts a successful store. People used to say it didn't work in Australia or the UK because of XYZ-Reason but luckily people didn't listen to the nay sayers and now there are a bunch of super successful people drop shipping outside of the U.S. in their home countries. If you ever want help or guidance, I'm happy to help you, and I think you know deep down inside there are plenty of successful people with dropshipping stores. I'm sorry yours didn't work out, but i'm willing to bet you never earnestly followed the course or launched your store. One reason I know that is because no one in Anton's course sells DSLR Cameras or Grey-Market products. It's not even a thing we have access to as Anton teaches to get approved straight from the supplier. I genuinely, sincerely wish you all of the success in the world, and I'm sorry if I pissed you off or offended you somehow, I really am. But I know your anger and hate has nothing to do with me. Anton is a legit guy, a great teacher, his methods work and there are plenty of people who are successful with their dropshipping stores. I'm sorry it's not for you, I'm sorry for whatever else is happening in your life that makes you so unhappy, and I hope you all of the best. Richard - Hey sorry completely forgot to answer your question, I was so busy replying to the other guy. $200 - Even though it makes headlines and stands out, remember I was still making $200-$600 a month from my first kindle book when I was working on my first dropshipping store, so I had income, just not a lot of it, when I joined Anton's course, not only was it cheaper at the time (because it had a lot less content). The $200 point was when I was already in the middle of building my store, and was simply the lowest point my bank account was in as I was running out of money during those 2 months. So to answer your questions. No I would not recommend putting a $1,300 course on your credit card. I would freelance, work as a bartender/server or something to get some quick cash, then buy the course once you have it and you have 2-3 months to work on it before it starts making sales. 0r whatsapp or call +2349037326964. 1. Assume there is a simple system that shortcuts all time. I constantly guard against buying the next shiny course that I am convinced holds the missing "secret". That's why I like Anton's course. There are no secrets. Just an A-B system. 2. We think we are "above average". For some reason we think we will "work harder" or be "smarter" and somehow beat the system. I've seen it happen, but very, very rarely. The trick is to keep going even when there is little hope. 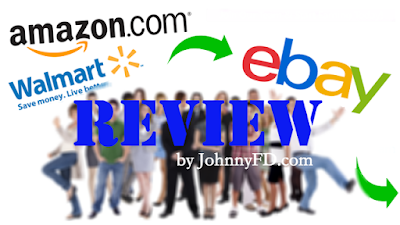 You, Johnny were one of the first to publicly talk about your success from Anton's course. Now the pathway is that much easier for everyone else because they KNOW they will be a success if they just stay consistent. Great advice Quinton! Happy to share! I hope that Johnny is open to try FBA and interview more people on the podcast! More FBA podcast would be great! a "make money quickly" plan? You forgot to mention PayPal's 21-day hold? There will always be an excuse not to get started, if paypal's 21 day hold is reason enough not to get started you are not meant to be an entrepreneur. That makes no sense whatsoever Johnny, what if you don't have the money to buy on your credit card in the first place? This is probably an issue if you're dropshipping on ebay in the first place, a lack of real funds. Unless you're selling 10 dollar items (why would you even do this? ), the costs would be high initially. If your item costs 50 dollars and you sell 10 in 21 days, that's 500 dollars up front. Higher priced/more sold and you're talking 1000's that you have to pay out before Paypal releases your funds. If you have 1000s in the bank already to do that, what the hell are you doing wasting your time dropshipping on ebay?! No idea why you call it an excuse, it's a legitimate problem with the business model, and there are plenty of others that you overlook. You don't need money on your credit card to buy things, you're thinking about a debit card. Either way your biggest problem right now isn't that Paypal might hold your funds for 21 days as a new account. Your biggest problem is that you have no income coming in. Having too many sales is a high quality problem that you'll happily figure out when the time actually comes. One easy solution would be to only list X amount of items when you start out and slowly scale up from there. Another would be to show a friend or family member your sales and ask to use their credit card to fulfill the orders. Another would be to apply for a real credit card and not use a debit card. The list of solutions go on. 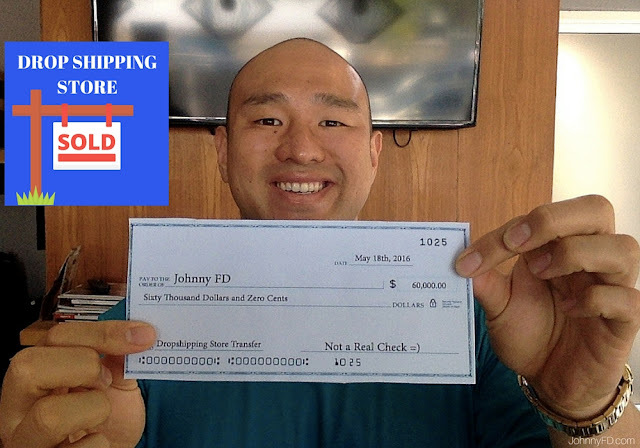 So far, I've seen success in David Vu's eBay dropshipping course and my business is still growing. I've found a way to outsource much of the work and would like to start a new venture. I have some capital, so I was thinking about starting an FBA business. Do you still reccommend the FBA Empire course? Do you currently know people that are successful after taking Michael's course? Thanks!! Hey congrats on your success with David Vu's course so far! Glad to hear you've been making sales following it and now have the capital to invest in FBA. 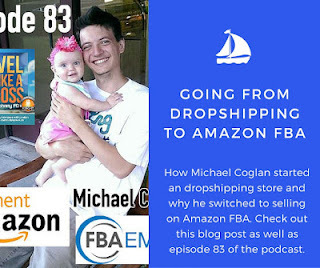 I know a bunch of people making money with FBA in general and the FBA Empire course (http://www.travellikeabosspodcast.com/episodes/ep-83-dropshipping-to-an-amazon-fba-empire-with-michael-coghlan) is still probaly the best option for people starting out as it's the most updated and comes with a lot of personal help in the forums as there aren't a million members yet. Thanks, Johnny I'll keep you posted! 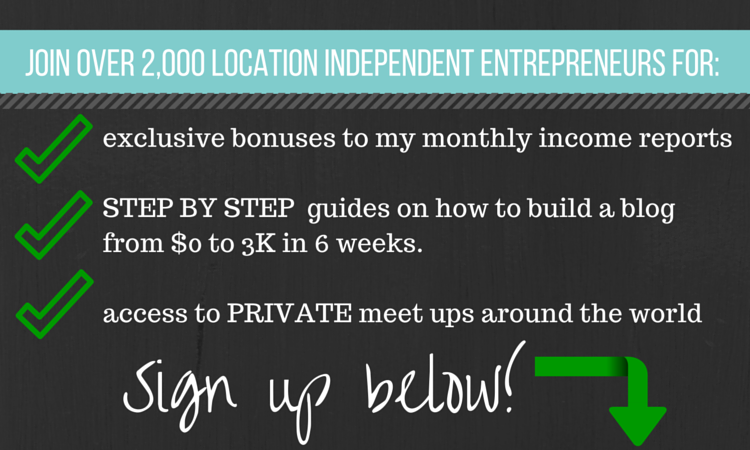 Are you self employed? a businessman? Do you want to become super rich than you are today. GREAT ILLUMINATI SOLUTION KINGDOM Of MONEY AND POWER !!! Monthly payment of $250,000.00 USD into your bank account every month as a member. Whats-app: (+2349038420842) for immediately initiation. New members Initiation is now open. How i become successful in life, I am so grateful today is because of the illuminati brotherhood. the Illuminati brotherhood continues to change my life day by day, hails to the illuminati brother, i was deeply strangled up by poverty and i had no body to help me, and also i search for help from different corners but to no available, i have worked so hard to make it in life, i have done so many things in life, just to make it and live a happy life with my family, i do not know what to do next i was just thinking about my life, i see people around me getting rich but to me, i get poor everyday of my life, i start to think of what to do next just to get rich and live a good life, one day i think of going for research in google, and i say how many people giving testimony on how the illuminati brotherhood helped then to get rich and famous, so i think of joining the illuminati brother so that i can also get rich and be famous in life, because i have go through pains in life, so i make up my mind and decide to join the illuminati brotherhood, to my own believe i see my life changed for good, i was given amount of $2,000,000.00 USD to start a new life, i am so proud of myself and i am a great man today, because of the illuminati brotherhood, the mission of the illuminati brotherhood is to wipe away suffering and hardship away from everyone life. so if you are a business man/woman, an artist, a pastor, a working class, student and you want wealth,fame,protection,long life, prosperity just name it, the illuminati brotherhood is ready to help you achieve your dreams, if you live in America it is free to join the illuminati brotherhood, you have to email: churchofinitiationcenter@gmail.com call or text +15088192672 on how to join the illuminati brotherhood, join and see changes in your life. My name is Mr. EHIJATOR ADEBAYO, I am 33 years old and I based in Nigeria. I want to notify the general public how I was helped by Illuminati temple in regaining back my business position after been sacked for about a year and six months. I have been in pains and trouble since when I was sacked from the company where I work in Ottawa (headquarter) in Nigeria as an agency executive. I have been hopeless, financially down through out that year. But one day as I was browsing through the Internet I came across the testimony posted by Mrs Thereasa Mathew on how an Illuminati agent Justin helped her, saying you can be famous, rich and successful in life by been a member of the great Illuminati Brotherhood, immediately I contacted him and I explained everything to him and he recommended me and he helped me by initiating me to the Great Illuminati Brotherhood and also he gave me all the guidelines and told me their place of worship here in Canada. With the help of Mr. Scott I was able to go to the temple and there I was initiated fully as a complete Illuminati member. Surprisinly 40 hours after I was initiated, I received a call from the company that I have been accepted back again as the agency executive of the company at first I was shocked and surprised but latter regain myself, I was told to resume work the next day by 7:00am. Starting from that day I and my family had been living a joyful and a luxurious life. So viewers who are interested in becoming a member of the great Illuminati Brotherhood and also wants to be famous, rich, wealthy and gain power should peacefully contact Mr. Justin on his email address on (illuminatiworldofsociety1@gmail.com) or you can as well whatsapp him on +2347031524375.